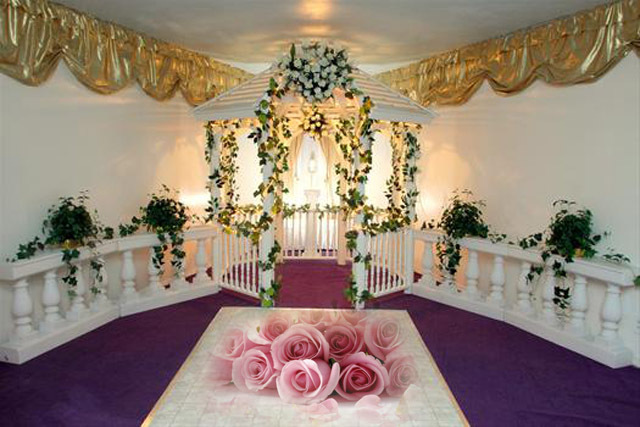 Sweethearts Wedding Chapel offers wedding packages from $95.00 to $999.00. They are actually two businesses in one location, we are also Rose Eren Bridal Boutique. Unlike most Las Vegas chapels who offer wedding packages, did you know that we have the original Tux & Gown wedding package? We did it first, and we did it right. What does this mean to you? It means that you have more time to enjoy your Las Vegas stay since everything you need is all under one roof. Also did you know that we are the only wedding chapel in Las Vegas that offers a lifetime guarantee with you photos? Our most popular package is the "Weekend Special" for only $424.00 this is what you get. I love Sweethearts wedding chapel the service is the best. Alice & Antony. I love my wedding at sweethearts wedding chapel Las Vegas. Great service if I could give it more stars I would. Absolutely wonderful, from start to finish. I don't think there's a single chapel out there with the dedication like this chapel, trust me I looked. This chapel has restored my faith in true customer service. I dont know why anyone would want to go anywhere else. I fell in love with their indoor gazebo (this is and old pic. the chapel now looks breathtaking). I wanted good wedding photos, which is why I went to see Rose at Sweethearts. But I honestly didn't expect my photos to turn out breathtaking. Rose, YOU are the Sweetheart at Sweethearts. Thanks to your skill and creativity my wedding photos are perfect. Thank you so much. Do not believe the pictures, this chapel is in what used to be an old liquor store. It has bars on the windows, on the corner next to a tattoo parlor and an adult bookstore. It smells terrible inside as well. Also, the staff was very rude. I never asked for money back but eren insisted on throwing the fact that I can not get it back in my face. This place was overpriced and complete garbage! I found a much better chapel cheaper and included waaaay more in their deal. They definitely charge way too much for their trashy ghetto facility. 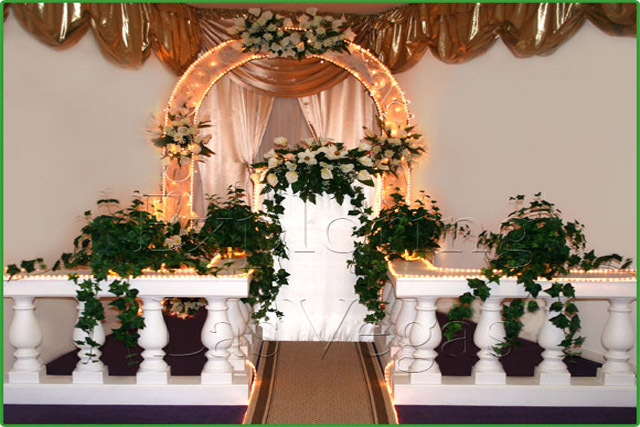 Allure Wedding Chapel is definitely better, it's less expensive and offers a lot more in their packages. Any chapel would be better than this dump. They are rude, they have no class. The place is in an old liquor store on the corner next to an adult bookstore and a tattoo parlor. Their website only has one picture of the outside but the edges are blurred out so you can not see the location. Do not book online because if you are not pleased they do not do refunds even if you are unsatisfied. Scam artists. Liars. Ghetto. Trash. Pictures do not match like on website. Eren Grey is a tacky woman with no class. She snapped at my wife when she asked to cancel, she made fun of my wife in front of her to employees while she canceled our wedding. Their are bars on the windows and is in an old liquor store next to a tattoo parlos and adult bookstore. Please do yourself a favor and go to the chapel before giving them any money!!! They have you give them money prior to going there because they know no one would actually want to get married next door to an adult book store that is in the background of their gazebo... That's why the picture of the gazebo is blurred! Nice photo shop. Seriously, there are many other places in Vegas to choose from! THIS REVIEW HAS BEEN REMOVED BY EDITOR, IT VIOLATED OUR GUIDELINES. Most of the reviews on this site and a lot of other sites suspiciously match each other but with different names. I have actually been to this chapel and know that none of these reviews are true, I believe that the owner or her staff is putting good reviews on sites to get business because they need it. It is in an old liquor store on the corner with bars on the windows next to an adult book store and a tattoo parlor. Also, the owner is not who they say she is in here that's just what she wants them to make you think. If you still want to get married here after reading this then go in person DO NOT book online. Book then never hear from them again! When I first called up the chapel I spoke with Eren who was so nice & helpful, I booked our date & agreed to do the deposit & pay the rest on that day. I got an automatic email saying my card was charged the full amount. I sent an email back right away and asked why it was charged so, Eren gave the refund right away, and showed in my acct 3 days later. As our date is getting closer, I had a few questions & revisions I wanted to make for that day. I called & left 3 messages for Eren & sent multiple emails and have HEARD NOTHING!!! finally on a weekend got through to somone who sounded like they were on a cell phone & didnt want to help me AT ALL. My bf called & cancelled & they said they will not refund our deposit. Nowhere on the website does it say that or were we informed of that!!!!!! I left a message yesterday & emailed Eren YET AGAIN to discuss the deposit. Im not going to call or email anymore, but WILL be going there when I land in Vegas next month.... Now that im going thru and reading the other reviews which I should have done to begin with, not only are they mixed BUT ONE OF THEM IS FROM EREN HERSELF!!! I wouldnt suggest this Chapel at all!!!!!!! Worst place to get hitched! Worst experience of my life! The chapel is described as being beautiful and in a great area. I decided to look past the adult bookstore and not judge it by it's "cover". The inside was cheap, and smelled old and musty. The manager was extremely rude, stating that I needed to either book an appointment, or quit wasting her time because she had many other weddings to attend. Getting a quickie marriage isn't something you just rush. I told the manager I had seen her deals on yelp and that $599 sounded like a great package. She told me that that special was over, and that this package did not come with most of it's benefits. I left, without being rude or arguing and she still insisted on making rude comments when I left calling me cheap. I was being cheap at all, I just wanted the deal she used to lure me over to her establishment. To be honest, go somewhere else. Unless you want to be treated like dirt, and want the happiest day of your life ruined, go anywhere else but here. I should have listened to the many reviews I read. Incredible Service!!! This chapel made my wedding day one to remember. I was recently married to the man of my dreams and the staff at Sweethearts went above and beyond my expectations!! I cant thank them enough!!! My wedding coordinator Andrea was the BEST, The minister had the most touching things to add to the ceremony to give it that special touch. The photographer was incredible and the extra photos are super affordable. I cant wait to renew my vows with them in 5 yrs. I highly recommend this chapel!! !